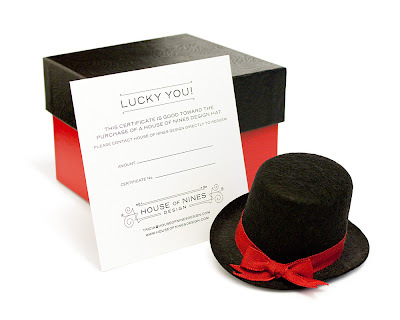 House of Nines Design now offers gift certificates for made-to-order or custom hats, and to kick off the holidays they're on sale for 10% off if purchased directly from me. Just send me a direct message through email, Twitter or Facebook to make your request. (Note: Gift certificates purchased through Etsy or Smashing Darling are not on sale.) The sale runs though December 15, and all gift certificates purchased on sale are guaranteed for delivery, anywhere in the world, by December 25. 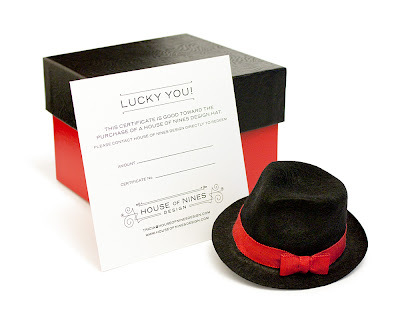 More info about House of Nines Gift Certificates is here.